For our first newsletter I would like to relate to you the behind the scenes story of the discovery of feline AIDS virus and also make some comments on the efficacy of available tests and vaccines. In 1985 I was in my third year of veterinary school at UC Davis, I was also operating Hansen Diagnostics. I had recently completed graduate work in the lab on Dr. Niels Pedersen and had close ties with him and his lab personnel. About the same time, the human AIDS epidemic was in full swing in the San Francisco bay area, with all of its attendant hysteria. Dr. Pedersen had just recruited Dr. Janet Yammamoto to work on Human Immunodeficiency Virus (HIV) vaccine strategies. They had set up a special lab just for that purpose. The public became aware of the HIV lab and Dr. Pedersen was getting quite a few phone calls about tests and vaccines, to the point that he was getting really tired of them. One morning a lady that owned a large cat colony in Petaluma California left a message for Dr. Pedersen that she thought one of her cats had AIDS and asked if he could test the cat. Thinking that she was just another bay area nut, he filed the note in the circular file. The ladies name was Marlo Brown and she proved to be very persistent. She eventually convinced Dr. Pedersen to accept blood samples from the cat in question for retrovirus testing in Dr. Yammamoto's HIV lab. Lymphocyte cultures were started and my lab tested the cat for feline Leukemia, feline Corona virus, and Panleukopenia. All of the standard serological tests were negative as was reverse transcriptase tests on the lymphocyte cultures. These tests remained negative for several weeks. Here is where serendipity enters the story. After many weeks of negative test results, Dr. Pedersen told his cell culture technician to dispose of the lymphocyte cultures, she was very busy and forgot to throw them away. Several more weeks went by and then one day a positive result came back from reverse transcriptase testing, it was Marlo Brown's cat. This positive test started a flurry of activity which resulted in electron microscopy images showing the presence of Lenti virus particles. Samples were subsequently sent to several other labs for confirmation and they all came back as positive for Lenti virus. The virus was grown up in primary lymphocytes and purified. The purified virus was sent out for further characterization. Initially, the virus was called Feline T-Lymphotropic Virus (FTLV), but in a very short time it became obvious that this virus was practically identical to HIV. FTLV was then renamed Feline Immunodeficiency Virus (FIV). It turns out that Marlo Brown was correct, her cat did indeed have AIDS Virus, and a fortuitous mistake by a technician led to scientific history. Very quickly thereafter an IFA antibody test was developed using primary lymphocytes and a serosurvey was begun to assess the incidence of virus infection in the general cat population. My lab was chosen to carry out the survey and in 1986 we began testing serum samples from all over the world. The first generation IFA test was horrible. It was fraught with non-specific reactions and very difficult to interpret so we relied mostly on Western Blot testing for confirmation of antibody status. Fortunately for us, Dr. Hans Lutz in Switzerland was able to get the virus to grow in a feline kidney cell line (CRFK), and the test results using these cells were spectacular. In fact they were so good that we stopped using Western Blots to confirm positive IFA results. The serosurvey continued for several years and during that time, my lab produced and sold thousands of IFA slides worldwide. The University of California was granted patents on the virus and all testing methods. They in turn granted an exclusive license for FIV testing to IDEXX Corporation. IDEXX produced an Enzyme Linked Immuno Assay (ELISA) for FIV antibody detection, and over the next few years they used their exclusive license to force all other FIV tests out of the veterinary field. Over the last twenty-years it has become obvious that the ELISA test is an excellent screening test with very high sensitivity, but with a somewhat less impressive specificity. The current FIV ELISA assays have a reported false positive rate of between eight and twenty-percent. This fact was reported early on by Pedersen etal in 1987. The authors recommended that all ELISA positive results be confirmed by IFA. The FIV IFA test uses acetone fixed FIV infected cells, which contain the whole virus and its full spectrum of antigens. We have carried out several comparison studies for sensitivity and specificity of IFA and ELISA tests using Western Blot as the reference or gold standard assay. The most recent results are presented in Table 1. In our opinion, the FIV IFA test is the best single test for assessing antibody titers to FIV and is an excellent confirmation test. ELISA and Lateral Flow devices are very good screening tests that can be implemented at point of care facilities where their high sensitivity allows them to identify most positive animals. Cats testing positive for FIV antibodies by ELISA, or Lateral Flow should always have an IFA confirmation test done at a reference lab. There is a vaccine available for FIV but its efficacy is not well established. A similar vaccine made for Simian Immunodeficiency Virus (SIV) has proven to be non-efficacious. Also, vaccinated cats will make antibodies to FIV which will cause them to score positive on antibody tests, thus confusing the FIV surveillance and diagnostic programs. There have been several attempts to produce an FIV antigen assay but they have mostly been a failure. The problem is the level of circulating virus antigens falls to very low levels once infected animals begin to produce specific antibody to the virus. This fact also makes it difficult to get accurate results from Polymerase Chain Reaction (PCR) tests. Therefore, the antibody detection assays give the most bang for your buck. Laboratory studies at UC Davis have shown that cats experimentally infected with FIV can live for at least five-years with no clinical signs of disease. Cats that are symptomatic with secondary viral and bacterial infections can be effectively treated for their symptoms and more often than not can live a good quality life for many years, much like their human counterparts. Therefore a positive test for FIV should not automatically be a death sentence. Herman Hansen, D.V.M. 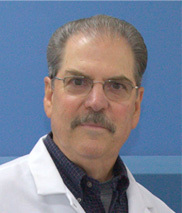 is the founder of Hansen Dx, and a recognized authority on Canine and Feline diagnostics. Dr. Hansen has authored many papers on the subject and has developed many important products over the years practice. His work was instrumental in the development of the assay to detect Feline Immunodeficiency Virus (FIV). High-quality, low-cost diagnostics. Try us out for free.